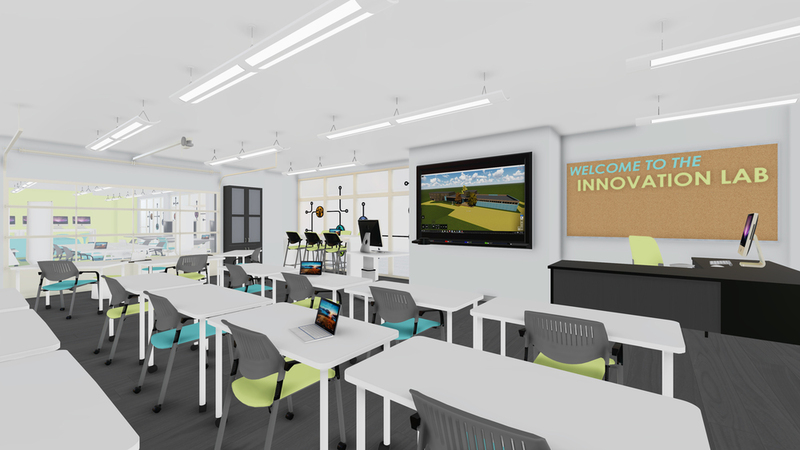 In conjunction with the science lab renovations, the development of the Innovation Lab in the main school building will serve as a bridge to the eventual STREAM Center. 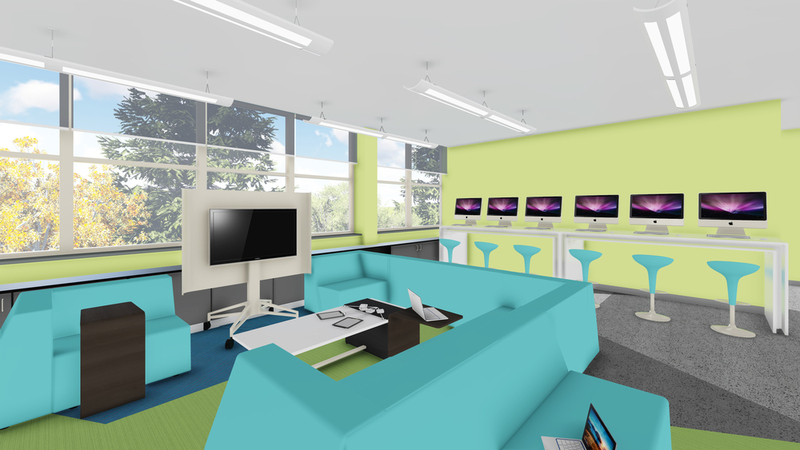 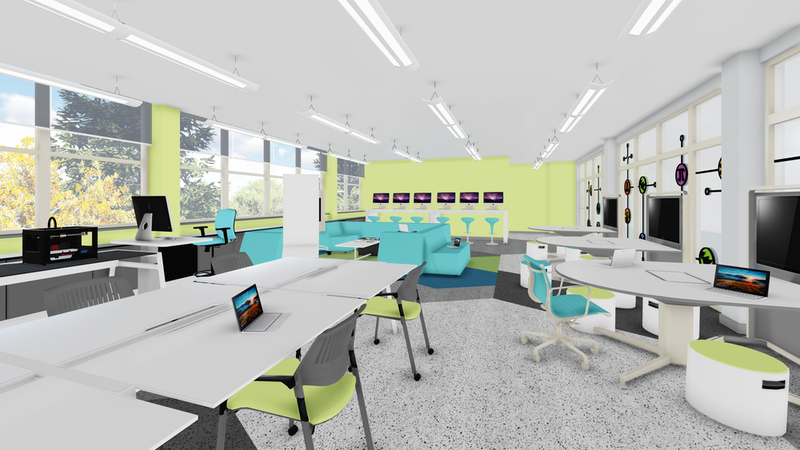 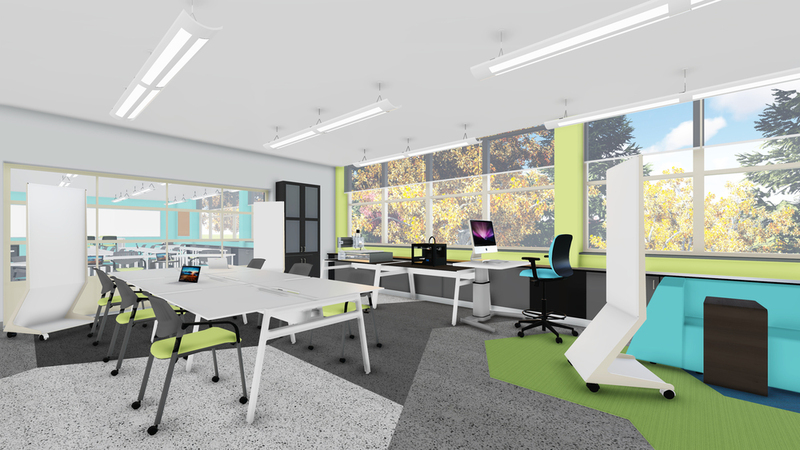 The Innovation Lab will provide a variety of zones for multiple types of teaching and learning from whole class discussion and instruction to student to student collaboration in the lounge area. 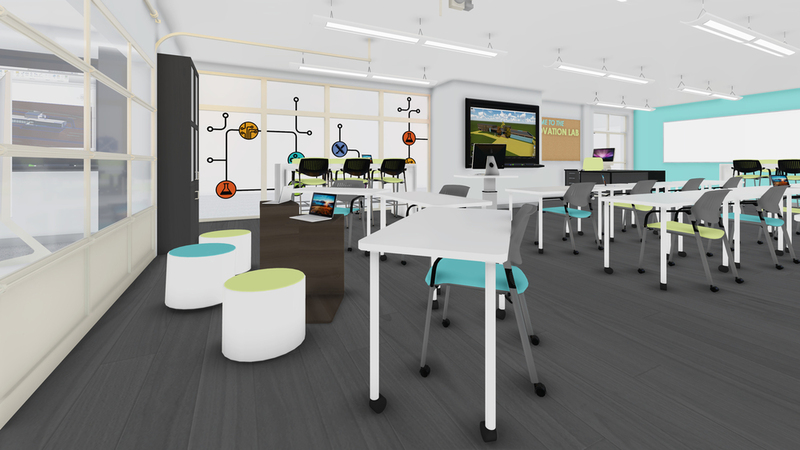 In addition to testing the types of furniture and equipment most effective for creative collaboration, the Innovation Lab is meant to experiment with the STREAM class offerings and curriculum based on student interest and project output. 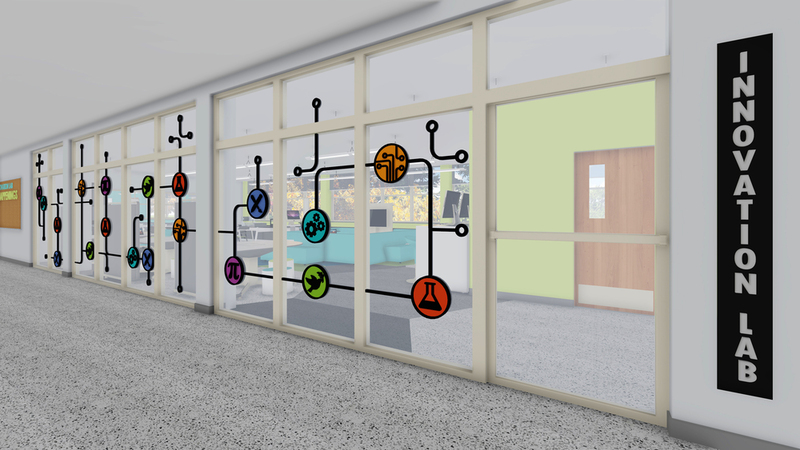 As the Innovation Lab evolves, the zones will be scaled up, and the lessons learned will be applied in the STREAM Center.